Much like Laura Bates’ Everyday Sexism, this is an introductory book on feminism, and there were times when I felt it didn’t fully acknowledge the nuances of how people experience gender or sexuality. However, as I also said when I wrote about the Bates book, describing a book as introductory is not the same as saying I have moved beyond it and found no new insights within its pages. We Should All Be Feminists, which started out as a TED talk, is full of moments of recognition that made me go Yes. It’s also (unsurprisingly, considering this is Adichie) amazingly written — she has a wonderful knack for wording ideas in punchy, succinct ways but nevertheless retaining their complexity. 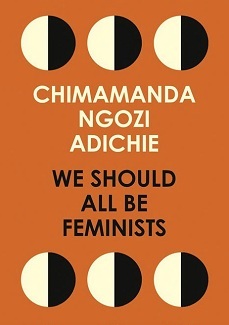 Plus I appreciated the fact that Adichie used plenty of examples from her life in Nigeria, which added to my understanding of global feminism. So, in a literal way, men rule the world. This made sense — a thousand years ago. Because human beings lived then in a world in which physical strength was the most important attribute for survival, the physically stronger person was more likely to lead. And men in general are physically stronger. (There are of course many exceptions.) Today, we live in a vastly different world. The person more likely to lead is not the physically stronger person. It is the more intelligent, the more knowledgeable, the more creative, the more innovative. And there are no hormones for those attributes. I see what Adichie is getting at — even if patriarchal arrangements made sense in the past, it’s well past the time for things to change — but an understanding of the social arrangements of early humans that’s essentially based on 1950s gender roles is reductive and unfounded. It’s a concession to cultural myths we’d be better off dispelling, and it’s the exact sort of thing Marlene Zuk argues against in her excellent Paleofantasies, to give one of many possible examples. Gender matters everywhere in the world. And I would like today to ask that we begin to dream about and plan for a different world. A fairer world. A world of happier men and happier women who are truer to themselves. And this is how to start. We must raise our daughters differently. We must also raise our sons differently. We do a great disservice to boys in how we raise them. We stifle the humanity of boys. We define masculinity in a very narrow way. Masculinity is a hard, small cage and we put boys inside this cage. We teach boys to be afraid of fear, of weakness, of vulnerability. We teach them to mask their true selves because they have to be, in Nigeria speak, a hard man. But what if we question the premise itself? Why should a woman’s success be a threat to a man. What if we decide to simply dispose of that word—and I don’t think there is an English word I dislike more than this—emasculation. Some people ask, ‘Why the word feminist? Why not just say you are a believer in human rights, or something like that?’ Because that would be dishonest. Feminism is, of course, part of human rights in general – but to choose to use the vague expression human rights is to deny the specific and particular problem of gender. It would be a way of pretending that it was not women who have, for centuries, been excluded. It would be a way of denying that the problem of gender targets women. That the problem was not about being human, but specifically about being a female human. For centuries, the world divided humans into two groups and then proceeded to exclude and oppress one group. It is only fair that the solution to the problem should acknowledge that. 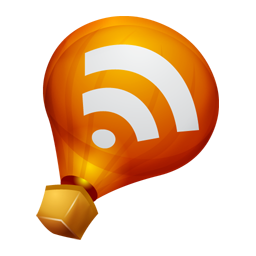 So yeah: I found it well worth reading. There are different ways to organize capitalism. Freemarket capitalism is only one of them — and not a very good one at that. The last three decades have shown that, contrary to the claims of its proponents, it slows down the economy, increases inequality and insecurity, and leads to more frequent (and sometimes massive) financial crashes. Human decisions, especially decisions by those who have the power to set the rules, make things happen in the way they happen, as I will explain. Even though no single decision-maker can be sure that her actions will always lead to the desired results, the decisions that have been made are not in some sense inevitable. We do not live in the best of all possible worlds. If different decisions had been taken, the world would have been a different place. 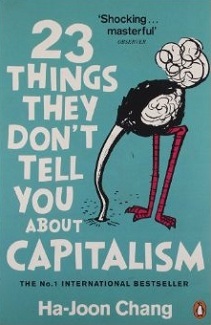 The book is divided into twenty-three sections, each one beginning with a brief “What they tell you” paragraph where Chang sums up a “common sense” idea about how freemarket capitalism works. This is then followed by a “What they don’t tell you” section with a detailed debunking. Along the way, Chang challenges the narrative of inevitability and destroys the illusion of “neutrality” about the contemporary world. Some of the ideas he addresses include the myth of the meritocracy (“We should reject the myth that we all get paid according to our individual worth, if we are to build a truly just society”), trickle-down economics, the “capitalist folklore” of the lone genius entrepreneur (“Even exceptional individuals like Edison and Gates have become what they have only because they were supported by a whole host of collective institutions”), and — perhaps my favourite section — the idea that material self-gain is the only reliable human motivator. Ha-Joon Chang is a clear, no-nonsense writer, and I found this book both enlightening and a pleasure to read. So, when free-market economists say that a certain regulation should not be introduced because it would restrict the ‘freedom’ of a certain market, they are merely expressing a political opinion that they reject the rights that are to be defended by the proposed law. Their ideological cloak is to pretend that their politics is not really political, but rather is an objective economic truth, while other people’s politics is political. However, they are as politically motivated as their opponents. Breaking away from the illusion of market objectivity is the first step towards understanding capitalism. The above idea, known as ‘trickle-down economics’, stumbles on its first hurdle. Despite the usual dichotomy of ‘growth-enhancing pro-rich policy’ and ‘growth-reducing pro-poor policy’, pro-rich policies have failed to accelerate growth in the last three decades. So the first step in this argument – that is, the view that giving a bigger slice of pie to the rich will make the pie bigger – does not hold. The second part of the argument – the view that greater wealth created at the top will eventually trickle down to the poor – does not work either. Trickle down does happen, but usually its impact is meagre if we leave it to the market. Simply making the rich richer does not make the rest of us richer. If giving more to the rich is going to benefit the rest of the society, the rich have to be made to deliver higher investment and thus higher growth through policy measures (e.g., tax cuts for the rich individuals and corporations, conditional on investment), and then share the fruits of such growth through a mechanism such as the welfare state. Equality of opportunity is not enough. Unless we create an environment where everyone is guaranteed some minimum capabilities through some guarantee of minimum income, education and healthcare, we cannot say that we have fair competition. When some people have to run a 100 metre race with sandbags on their legs, the fact that no one is allowed to have a head start does not make the race fair. Equality of opportunity is absolutely necessary but not sufficient in building a genuinely fair and efficient society. People are not as much propelled by material self-interest as free-market textbooks claim. If the real world were as full of rational self-seeking agents as the one depicted in those textbooks, it would collapse under the weight of continuous cheating, monitoring, punishment and bargaining. Moreover, by glorifying the pursuit of material self-interest by individuals and corporations, we have created a world where material enrichment absolves individuals and corporations of other responsibilities to society. In the process, we have allowed our bankers and fund managers, directly and indirectly, to destroy jobs, shut down factories, damage our environment and ruin the financial system itself in the pursuit of individual enrichment. If we are to prevent this kind of thing happening again, we should build a system where material enrichment is taken seriously but is not allowed to become the only goal. I prefer the US subtitle for this book: it’s “Why austerity kills”, rather than the UK’s milder “Eight experiments in economic recovery, from Iceland to Greece”. Stuckler and Basu, a team of epidemiological researchers, trace the health impact of austerity measures on several populations. The book takes advantages of various “natural experiments” to isolate austerity as much as possible as a variable, and then assess the impact of social protection (or its absence) in the health of populations in economically vulnerable situations. 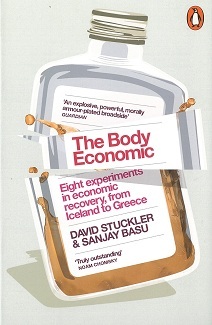 The most striking example is Iceland versus Greece after the financial crash of 2008, but it’s by no means the only one Stuckler and Basu provide. The body economic signifies not just the financial systems of which we are all a part, but the health effects of economic policies. As epidemiologists, we study the patterns, causes, and effects of disease. When we think of the body economic, we seek to understand how governmental budgets and economic choices affect life and death, resilience and risk, for entire populations around the world. The Body Economic was difficult to read. It’s a very useful book in the same way as Ha-Joon Chang’s, but it leaves no room for the distance of abstraction: it’s a constant reminder of what austerity means and what it costs. While there’s comfort to be found in the fact that history provides useful lessons, and in the knowledge that as the evidence mounts, more and more people will add their voice to the chorus demanding that we change course, the fact remains that in the past few years we have seen countless entirely avoidable deaths. There have been so many irreversible losses, so many people who paid with their lives, and even if the world were to start changing tomorrow nothing would bring them back. Of course, even being reminded is a sign I could have been hit much harder, because there are people who are never allowed to forget. Ultimately, austerity has failed because it is unsupported by sound logic or data. It is an economic ideology. It stems from the belief that small government and free markets are always better than state intervention. It is a socially constructed myth—a convenient belief among politicians taken advantage of by those who have a vested interest in shrinking the role of the state, in privatising social welfare for personal gain. It does great harm—punishing the most vulnerable, rather than those who caused this recession. Had the austerity experiments been governed by the same rigorous standards as clinical trials, they would have been discontinued long ago by a board of medical ethics. The side effects of the austerity treatment have been severe and often deadly. The benefits of the treatment have failed to materialise. Instead of austerity, we should enact evidence-based policies to protect health during hard times. Social protection saves lives. If administered correctly, these programs don’t burst budgets, but—as we have shown throughout this book—they boost economic growth and improve public health. The greatest tragedy of austerity is not that it has hurt our economies. The greatest tragedy is the unnecessary human suffering that austerity has caused. Olivia, Dimitris, Brian, Vladimir, Diane and Kanya are a few of the billions of people harmed by austerity. There is no economic recovery powerful enough to reverse the damage done to their bodies and their minds. The proponents of austerity promise the short-term pain is worth the long-term gain. That promise has repeatedly been proved false in recessions both past and present. Austerity is a choice. And we don’t have to choose it. I had that Ha-Joon Chang book out from the library a while ago, but didn't get around to reading it. Obviously that was a big mistake--need to go get my hands on it again. I remember cringing at that exact same passage in the Adichie book. But also like you was extremely grateful to have read it for all the wonderful things she had to say. And for little-miss-easily-intimidated-by-authors me, it was also good for me to read her awesome writing style as I'm now more likely to finally pull one her works of fiction off the shelf. You'll like her fiction - I promise! I run out of time to read library books like constantly, so I totally understand. But do get it out again if you have the chance, because I think you'll also like it a lot. Chang's book sounds like something I'd never have picked up on my own, but should probably read. My understanding of economic forces is, er, rather wobbly, and it looks like Chang's laying it out in a way I could comprehend. Another one I'd recommend is Economix, which is an excellent economics primer in comics format. Well done graphic non-fiction is my favourite. Came to say something similar about Chang's book! I have such a poor understanding of economics. In addition to wanting to know more about it for myself, my boyfriend majored in it in college and I'd love to be able to talk more in-depth with him and debate some finer points. Thanks for bringing it to my attention!